At a dinner sponsored by the Calvin Coolidge Memorial Foundation last Thursday (I am an unpaid national advisory board member), there was a debate about wealth redistribution. A team of Canadian students who think government should “spread the wealth around” faced off against a team of American students who think government has no business doing any such thing. The theme continued when former Sen. Phil Gramm, Texas Republican, debated Chrystia Freeland, a member of the Canadian Parliament. While all of this was informative, civil, interesting and at times entertaining, the final speaker, CNBC commentator Larry Kudlow, may have uttered the most profound thought of the evening. 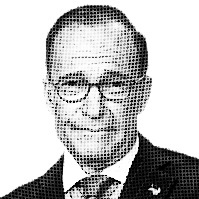 While Mr. Kudlow takes the traditional conservative position when it comes to economics, he said what would help individuals as well as the nation the most is for people to “get married.” He said it loudly, and the super-sophisticated New Yorkers in the room fell momentarily silent. When the shock wore off, many heads began to nod. Mr. Kudlow’s point was that marriage gives people a reason to work, a home one hopes is stable, and children for whom two parents feel responsible. How many politicians today would dare to admonish people who are living together to get married? Yet for not just economic reasons, doesn’t it seem the wisest course for most to take when one considers the benefits? Cohabiters may look at their divorced parents as an excuse not to marry, but that is an excuse, not a sufficient reason. One might better consider successful marriages, instead of failed ones, and emulate what made the good ones work. At the Coolidge dinner, the organization’s chairman, Amity Shlaes, passed out buttons that said “Coolidge in ‘16.” Although the 30th president died in 1933, his ideas and philosophy of life are being given new life by events like these. If his ideas worked — and Coolidge’s did because they were born from a Puritan ethic that founded and sustained America well into the 20th century, making the 1920s roar economically — why not reconsider those ideas, updating them as necessary and applying them to solve today’s problems, rather than skipping from one failed policy to another? Back to marriage. The Coolidges had an unusual relationship, but it worked for them. Grace was vivacious and outgoing; her husband quite the opposite. And yet there was genuine love. Mr. Kudlow seemed to be suggesting — and I would agree with him — that you don’t get that kind of affirmation outside of a committed marital relationship, which also makes for stronger families, economies and nations. – Cal Thomas is a nationally syndicated columnist. His latest book is What Works: Common Sense Solutions for a Stronger America (Zondervan, 2014).